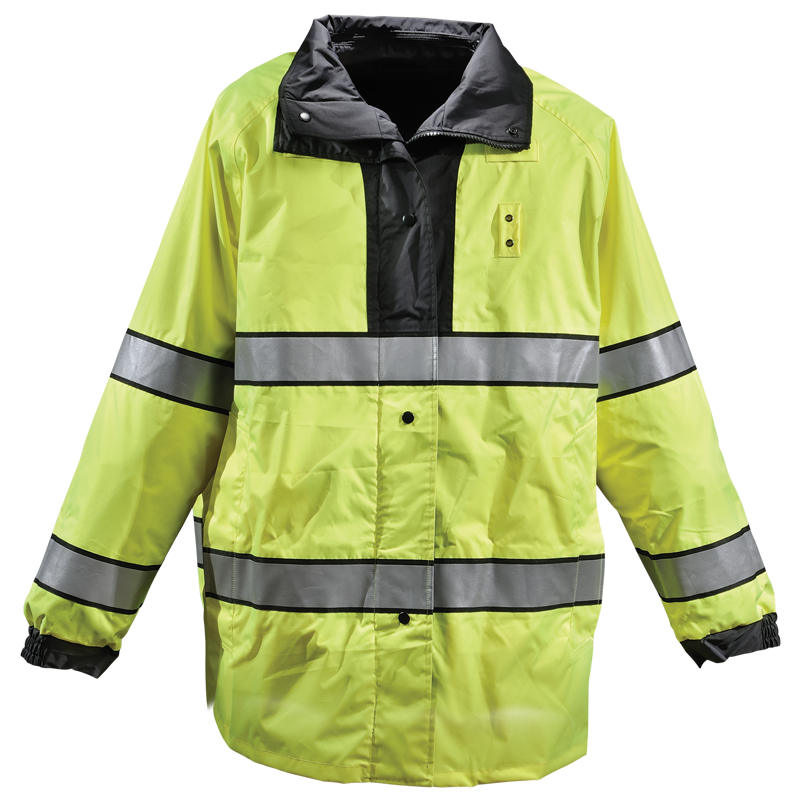 Supple Waterproof Breathable Windproof Taslan Outer Shell with High Visibility ANSI 107 Class 3 interior. Hip lenght design provides mobility and protection. Double storm flap front with reversible zipper closure. Side access equipment zipper, adjustable cuffs and drop in concealable hood. Mic tabs, badge tabs and hand pockets on both the interior and exterior sides.